Look at this Almost Brand New Hyundai Tucson that just arrived here at Auto Group of Louisville! This 2019 Hyundai Tucson SE AWD only has 1,748 miles! This Tucson comes well equipped with Back-Up Camera, Keyless Entry, HTRAC AWD, 17-inch alloy wheels, automatic headlights, a windshield wiper de-icer, heated mirrors, a rearview camera, a height-adjustable driver's seat, a 60/40-split folding back seat, Bluetooth, a USB port, a 7-inch touchscreen, Apple CarPlay and Android Auto smartphone integration, a six-speaker sound system. You also get forward collision warning with automatic emergency braking and lane keeping assist to keep you and everyone in your car safe! 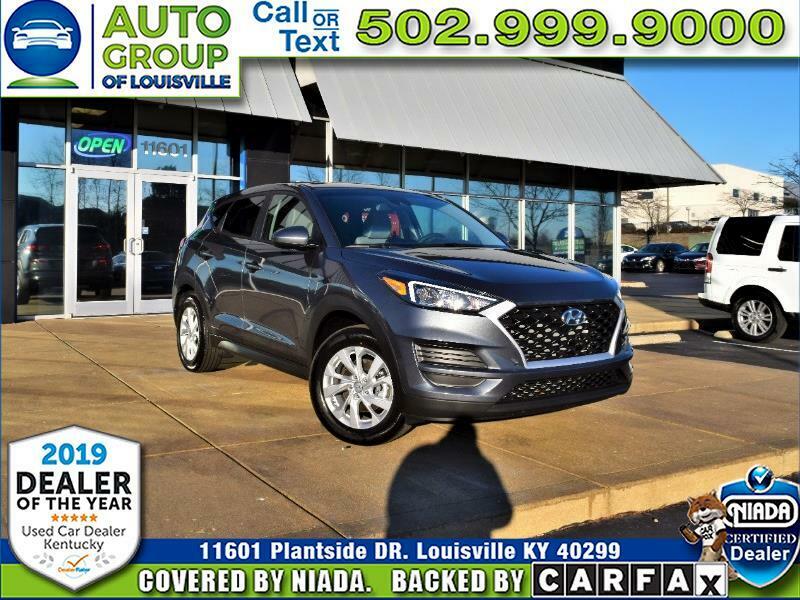 Come by 11601 in picturesque Jeffersontown Kentucky today and let one of our Great, Friendly, Knowledgeable Sales Associates show you this fantastic 2019 Hyundai Tucson SE AWD! Message: Thought you might be interested in this 2019 Hyundai Tucson.